The "i" is for "inflation" - Where Do I Buy I Bonds? Series I Bonds are a low-risk, liquid savings product. While you own them they earn interest and protect you from inflation. November 2, 2015 Update: The Current I Bond Composite Earnings Rate is 1.64% with a Fixed Rate of 0.10%. 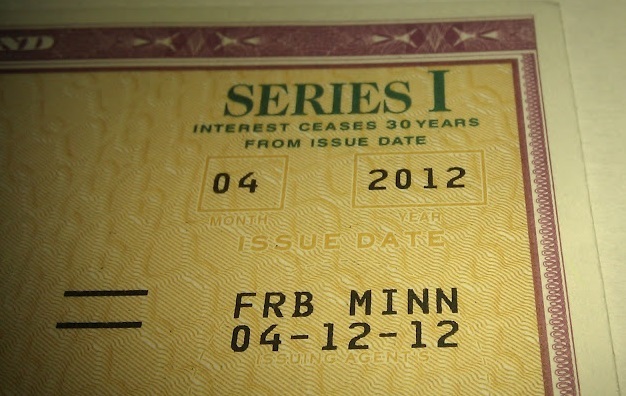 The earnings rate for Series I Savings Bonds is a combination of a fixed rate, which applies for the life of the bond, and the semiannual inflation rate. The 1.48% earnings rate for I bonds bought from November 2014 through April 2015 applies for the first six months after the issue date. The earnings rate combines a 0.00% fixed rate of return with the 1.48% annualized rate of inflation as measured by the Consumer Price Index for all Urban Consumers (CPI-U). The CPI-U increased from 236.293 in March 2014 to 238.031 in September 2014, a six-month increase of 0.74%. Best Time to Buy I Bonds: Near the end of the month. Make sure you leave enough time for funds to clear. Where to Buy I Bonds? You may purchase I Bonds at www.TreasuryDirect.gov.